We're our own biggest supplier which means there's no freight for the beer that comes from next door. Aluminium cans are 100% and infinitely recyclable. They also weigh less than glass and allow 100 cartons per pallet (25% more than bottles) which means less weight and less carbon per litre. We have 357 solar panels installed on the brewery and beer hall roof, which generate 130,000kWh a year – enough energy to power 60% of our electricity needs! Our beer garden and indoor plants are fully irrigated from rainwater collected from our roof. We have connected with a local farmer, Charlie. He takes 100% of our spent grain after the brew for use on his cattle farm. To cut down on waste we no longer use straws unless specifically requested for medical reasons. In these rare cases we use Eco-straws that are 100% biodegradable and compostable. 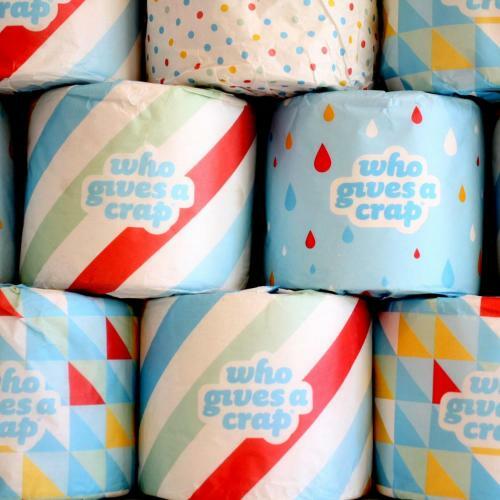 Who Gives a Crap, made with 100% forest friendly materials, provide all our toilet paper needs AND 50% of the profits go towards building toilets for those in need. We get wine direct from wineries still in barrel. We then transfer to kegs and pour through our tap system, we use the wooden barrels for secondary conditioning of our beers. This means no bottles, no labels, no caps and no wastage!